The street is always cold, and the large numbers of people share their temperatures together and builds up a heater. There are always inefficient amount of food and supplies that are limited. 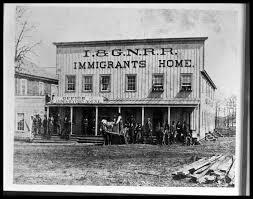 My family have a tent that all immigrants in Sector 32 own but it is only for the special ones. We work in the Sampair factory which is known for its great business and quality. I am proud whenever people mention us. Still, it is not a safe place to be in like all the other factories. Our whole family works here and we always have to fear in the possibility of death. I hope one day, I can get rid of this nightmare and pretend this as daydreams. Looking at how the middle class and the rich landowners buy expensive interiors, I often dream myself becoming one. Many things changed since we moved here in America, nothing really improved and developed. Even though our whole family works, we don’t get to earn a decent living. Why do the rich own more even though they don’t work hard as me? My fingers are filled with bruises and the shape is wreckedby contusions. The loud machines making big clinking noises is an alarm in my everyday life. The thin stripe of only brightness coming in through the broken window is always weak. Smoke from the grey gigantic machines goes through deep inside my lungs and evaporates into my throat leaving trades of coughing. I am always covered in black soot which I can never get rid of, permanent like a tattoo. When my father returned from work few years ago, he returned with a white bandage wrapped around his entire hand and I could see the dark red color gradually absorbing and making its territory wider. He worked for twenty hours a day and only got $8. My family would use all of this money in a second. Why don’t I always have enough money? I work so hard to earn the things I want. However, whenever I earn money by completing work in a long time, I use it in a very short time. I never like how this is formulated in my life. I always contradict the reality and get captured in my hallucinations. The factory is cold, none of the workers nor the wealthy owners have emotions. 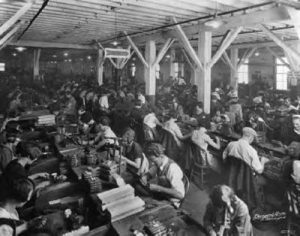 The owner of the factory always complains about the poor laboring from workers. He has a lot that he owns, but his greed would never stop developing. Why do people care so much about themselves? Why can’t people just live by helping others? Money and greed is destroying people’s humanity and personality. If I ever experience hell, wouldn’t this be hell? Discrimination was my everyday life I had to deal with and fight back alone. I used to constantly get teased by the fact that I am Jewish. Working in a factory, I have never cared for myself, nothing was ever related to my emotions and desires. Thinking back to the nightmare I had to go through every night was keep popping in and out of my mind. The owner would beat me up whenever he felt angry, depressed, only following his own paths and decisions. Everything that goes wrong turns into my responsibility. “Get him here!” I am in a middle of a chasing game which is different from how kids play them. If I get caught, I am probably going to die. The wide green and brownish yellow farm was very new to me. It felt like I was getting closer to freedom and liberty. The crowded chats coming right behind me also felt like death. The men who were chasing me were all holding glossing shotguns. The wooden surface of it made sounds of death when it touched the temperature of the air. Enough of this. It took me a few second to realize that the only way I can get liberty is by death. It is a collaboration between two traits that I mostly desired and I mostly feared. I held on a stone that was right behind my bare foot. I couldn’t feel any pain, my brain was busy alerting the surroundings. One of the men tilted the gun towards me. No pain, no hope, just emptiness inside me engaged tears from my eyes. A single drop of tear was bumping here and there through my ears. Blood spoiled all the grass and dyed the color into red. I couldn’t feel any pain but accomplishment so innocent, it was a totally new feeling inside me. Then, I closed my eyes with a smile. Which Me Will I Be? Analyzing a main idea of a text. Listening to other opinions of an idea. Participate more in the talking part of the class. Making clear with the theme in my own writing. Read more and challenge myself for new kind of book. Collaborate more in a whole class. I will try to lead the conversation or at least suggest an idea in a whole class meeting. I will try to read even more if I have time. Showing clear understanding of my ideas. Clearly articulating the projects I made. Need to speak more and try to be in the class conversation. Need to write clear notes so that it is easier to understand. Study more if there is something I don’t understand. I will look at my notes and learn more. I will raise my hand more. I understand what we learn in class and understand the strategy I learn. I collaborate well with my group and share ideas that I think. I need to ask more questions for clarification I don’t get. I need my work/writing to be neater so that it could be clear. Try more new strategies that help me understand better. I will see better with other models that other people did and try to think deeper and different. I will ask more questions. Positive at what I learn and what I do in class. Engaged in class and is able to answer questions with what I know. Talk more in the class conversation. I want to type/write some mandarin characters. I will try to listen more carefully to the numbers when there is a conversation. I will look around and find the characters so that I can at least see what it looks like. Collaborating with my group and making a good result. Responsible for bringing everything I need and responsible for myself. I have to be more perseverant and try harder. Try to choose a different partner instead of my friends. Try to be with other classmates. Try to do extra work little by little. It was the time when everyone had met and enjoyed the time together. Seungmin’s family traveled to Busan to make happy memories together on the 7th and the 8th. They enjoyed their special vacation and they all said they won’t ever forget this trip. 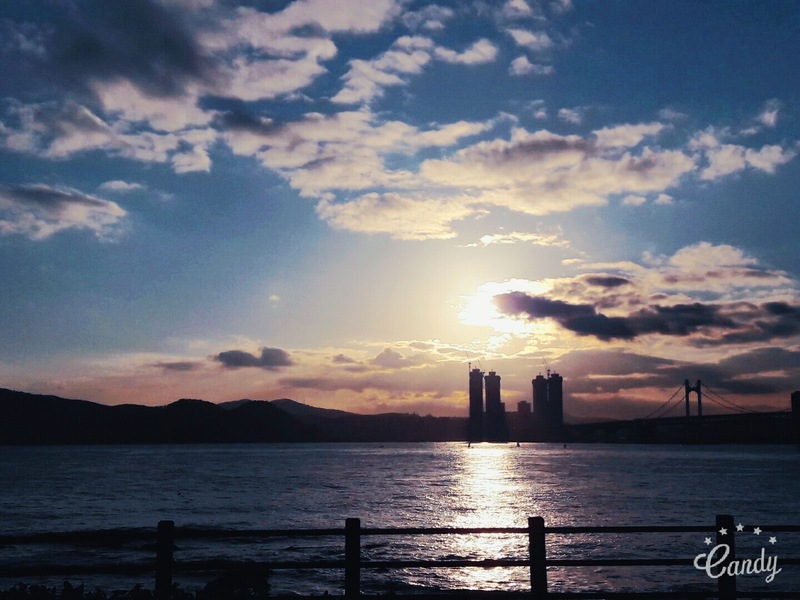 It was a special plan that Seungmin’s family would meet at Busan. Twenty people agreed for the trip and everyone started packing up on the night before. Seungmin, one of the family members said, “I can’t wait to go this trip” which was a surprise because she didn’t want to go at first. All of the family members left their house for the meeting that they were excited for. Seungmin’s family celebrated Sunghyeon’s(cousin) graduating high school and the admission for his college. It was also Seungmin’s grandmother’s birthday it was celebrated for. They had visited one of the famous restaurant, ‘The Party’ to celebrate. 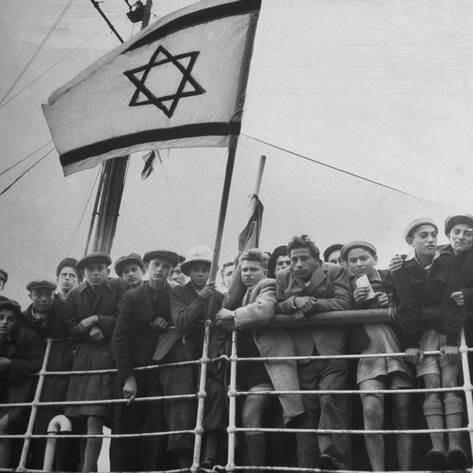 They walked along the beaches and visited mountains. The famous temple, Younggugsa was also visited by the family. Picture taken by Seungmin Lee from the high mountains. 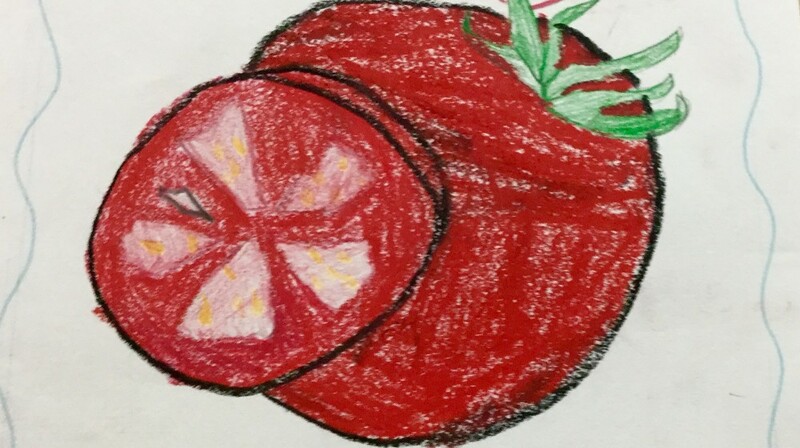 It surely looks like a picture drawn by Picasso! 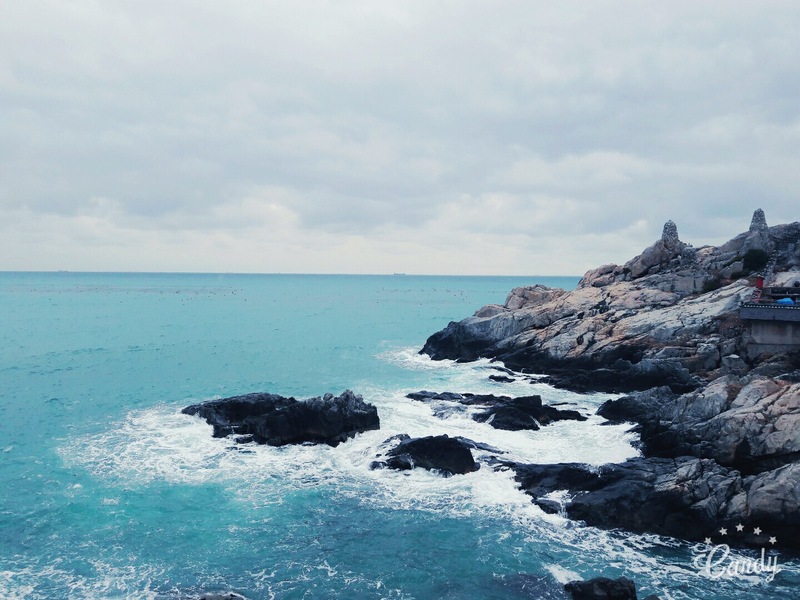 The color of blue emerald sea with the Yonggungsa the temple. As it felt like time wasn’t going, Seungmin’s family had to break up. It was the last meeting together on 2016. Still, the last meal together was a happy atmosphere. They didn’t stop laughing and giggling while going back. They are a true family and is loved by each other everyday. They all say that it was a very memorable journey and would like to make this happen again. 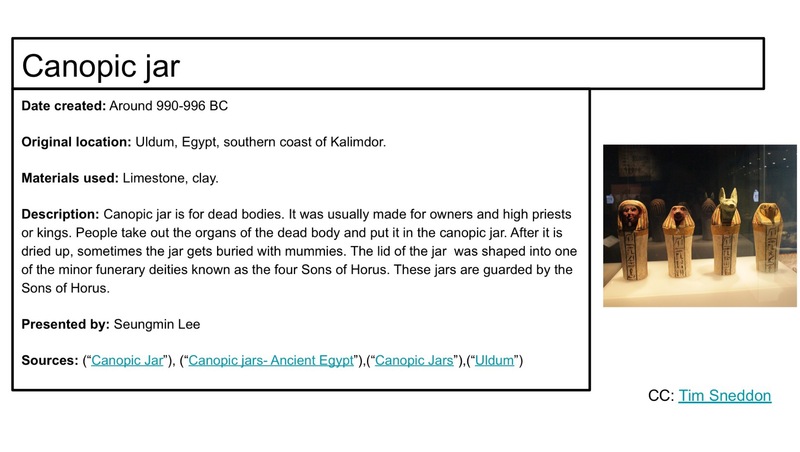 ​​It was fun researching and learning about canopic jars. I didn’t know it was to put the organs from the dead bodies. From this research, I could know better Ancient Egyptian religion and how strong their belief was with the afterlife. Two strengths I have around organization are: Checking homework, coming to class in the right time. One goal I have for the next 6 weeks is (How will that goal help you? ): Using different types of tools to check homework, schedule,etc. It can help me to be sure of the homework, and the schedules. Try to translate this writing in English! 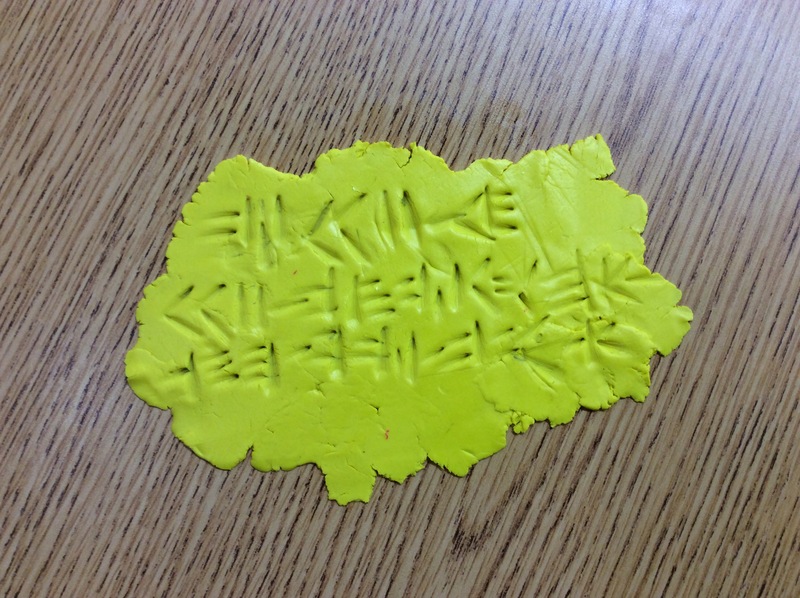 I think this experience was important because we could express our thinking of Mesopotamia in Cuneiform, and also learned how people used to write Cuneiform. I learned how to write with clay, which was very interesting and how Mesopotamian people invented writing.